The riverfront zone incorporates one of the city’s most paradigmatic neighborhoods in terms of heritage buildings associated to the Discoveries era: Belem. Vasco da Gama’s ships set sail from the beach in Belem in search of the maritime route to India. One senses the grandeur of the former empire everywhere. Implanted in the magnificent Praco do Imperio, we encounter the Monastery of Jeronimos – one of the capital’s most beautiful monuments. The Manueline building’s architectural excellence is evident and it has been listed as a World Heritage site by UNESCO. Another magnificent Manueline monument is the Tower of Belem, also listed as a World Heritage site by UNESCO. 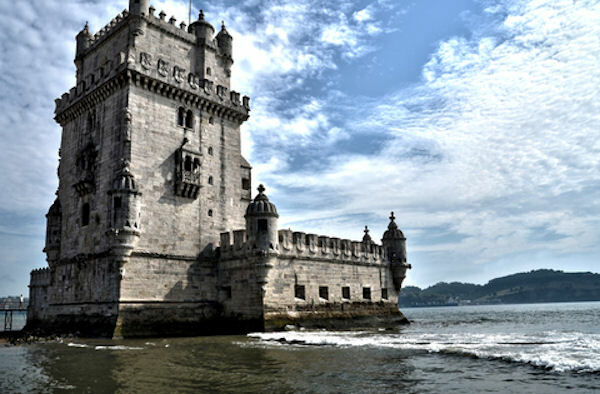 But Belem’s attractions go far beyond its historical monuments. The Electricity Museum approaches nowadays this working force, as well as all the techniques and knowledge of the Central, presenting in the permanent exhibition all the set of equipment’s that were part of the ancient production unit, as well as several themes related to energy in general. In the Gulbenkian Planetarium are realized daily panoramic projections concerning the themes of astrophysics and space exploration. The stars began to shine more in the Calouste Gulbenkian Planetarium, Lisbon, now Living Science Center with the presentation of a new astronomical projection system that allows the public a unique experience for simulating the night sky, and can observe up to 9,000 starts and Via Galaxy. The Coaches Museum displays a wide variety of ceremonial and parade coaches from the 17th through the 19th centuries, along with much of the associated gear for the horses and riders. One contemporary attraction is the Centro Cultural de Belem, offering a wide range of cultural activities. Belem is ideal for strolling through the gardens next to the river, rounding off the trip with a delicious Belem custard tart – one of Lisbon’s most coveted pastry recipes. Visit Belem to find out what Lisbon was like during a historical period so important to Portugal – the Discoveries. Don’t forget to taste our famous Belem Tart.